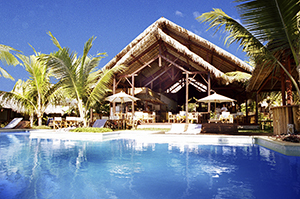 A 5-day / 4-night Package on the Madagascan Island of Nosy Be. Group size: Minimum 1 guest. Departure Dates: Every day, subject to flight availability. 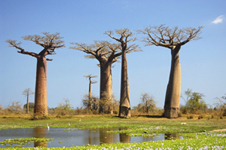 5-day / 4-night Package on the Madagascan Island of Nosy Be. 4x Breakfast. Where included meals will be enjoyed in the restaurants of the various accommodation establishments. Please advise us of any special dietary requirements in advance. On arrival to Nosy Be you will be met and transferred to Vanila hotel, set along the white sandy beach on the west coast of Nosy Be. Nosy Be, also known as Nosy Manitra -"The scented Island" , brings about fragrances of Ylang Ylang, Frangipani, Vanilla, cocoa, cinnamon and sugar cane. As one of the most popular destinations in Madagascar, Nosy Be has much to offer the visitor: beautiful beaches, views from the peak of Mont Passot, scuba diving and Ylang Ylang distillery to name but a few. Overnight: Vanila Hotel or similar (Garden Room with ensuite bathroom and air-conditioning. Set along the beach, the hotel blends in perfectly to its surrounding landscape of tropical gardens & turquoise sea). Meals: Lunch and Dinner at own account. At Leisure. Excursions are offered to the smaller surrounding islands off Nosy Be such as Nosy Komba with a chance to view the semi-tame Black Lemurs, Nosy Tanikely for exceptional snorkelling and Scuba diving off the island of Nosy Sakatia. An organized spice tour may be arranged through the lodge or perhaps a a ride into Hell-Ville to visit the bustling daily market- a good place to pick up spices at very reasonable prices. Enjoy a sundowner at the tiny rustic bar at the top of mount Passot, taking in the breathtaking view of the 7 sacred crater lakes. Or why not enjoy a sail upon catamaran under the great Madagascan sun. Fishing and diving trips may also be arranged, or simply just enjoy a cocktail or two on the beach admiring the hues of sunset. All these excursions are booked in your own time and are to your own expense. Meals: Breakfast supplied at Vanila Hotel, Lunch and Dinner at your own account. After a leisurely breakfast, check out of Vanila hotel and transfer to the airport for your departing flight to Antananarivo. Upon arrival, you will be met at the airport & transferred to IC Hotel, where you will spend the night in an ensuite room, away from the noise of the city. Overnight: IC Hotel or similar (en-suite rooms with hot water and balcony. Restaurant, bar and swimming pool). After breakfast at IC Hotel, we will transfer you back to Antananarivo airport, where you will check in for your flight home. Meals: Breakfast supplied at IC Hotel. 3 Nights accommodation at Vanila Hotel in a garden room with air conditioning on a bed and breakfast basis, plus 1 night accommodation at IC Hotel on a bed and breakfast basis. Transfers airport / hotel / airport. All optional excursions mentioned in the program, all drinks, lunches and dinners, flights and airport taxes, personal expenses, visas, insurance for luggage, tips, and laundry. Please note that internal flights should be booked in conjunction with international flights and the rates are subject to class, availability and change. Please enquire if you would like to book your flights with Eyes on Africa. When arriving in Nosy Be in the morning of Day 1 of the tour you will be picked up from the airport and embark on your tour. Should you arrive prior to day 1, pre tour accommodation can be arranged and you will be picked up from your hotel on the morning of day 1. (Pick up time will be confirmed on arrival). A 4WD vehicle is used during this tour. Accommodation will be in basic – mid-range hotels. 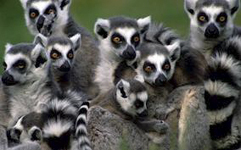 Please note that Madagascar is a country which is in its infancy when it comes to tourism. Accommodation is limited therefore all the above mentioned accommodations are subject to availability and we reserve the right to change these using similar accommodation of the same or higher standards. The hotels used are simple, clean and of a basic – mid-range standard, with bathrooms en-suite. Clients are advised to bring enough money to cover their lunches and dinners, the purchase of curios and additional entertainment. Madagascar’s currency is the Ariary. Euros are the most practical and convenient currency to exchange into the local currency at the Airport. International credit cards and travellers cheques are very seldom accepted, although VISA cards are accepted at the Vanila hotel. Its teeming fertile forests and geographical isolation have served to preserve and propagate 'nature's design laboratory' in a mix found nowhere else on earth. Madagascar's forests are a shimmering, seething mass of a trillion stems and dripping leaves. 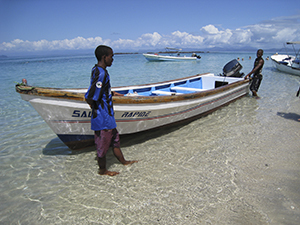 15 km away from the northwestern coast of Madagascar lies the 321 km² large island Nosy Be. 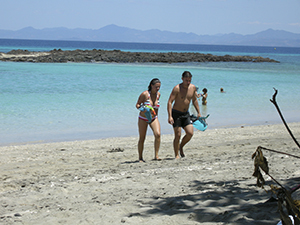 Here you can still discover a little paradise, which has been spared of masstourism. Climb on Mount Lokone (450m) or Mount Passot (350m) and you will be able to see Nosy Be in all its beauty: its jagged coasts, the numerous bays and lovely coves, the deserted beaches and the crystal clear water. Furthermore you should experience the amazing underwater world of Nosy Be which offers excellent snorkeling and diving opportunities or do a day trip to the nearby islands, for example Nosy Komba where you can watch the 5,000 black lemurs that roam this island and eat delicious fruits from wild growing lemon, orange, bananas, papayas and mango trees.